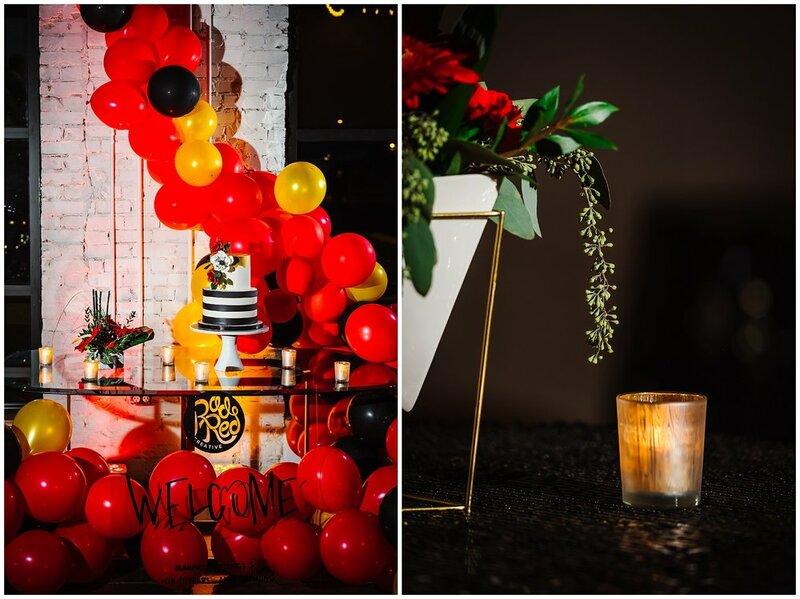 Rad Red 5th Anniversary Party! Rocking personalities? Meet rocking creative talents! 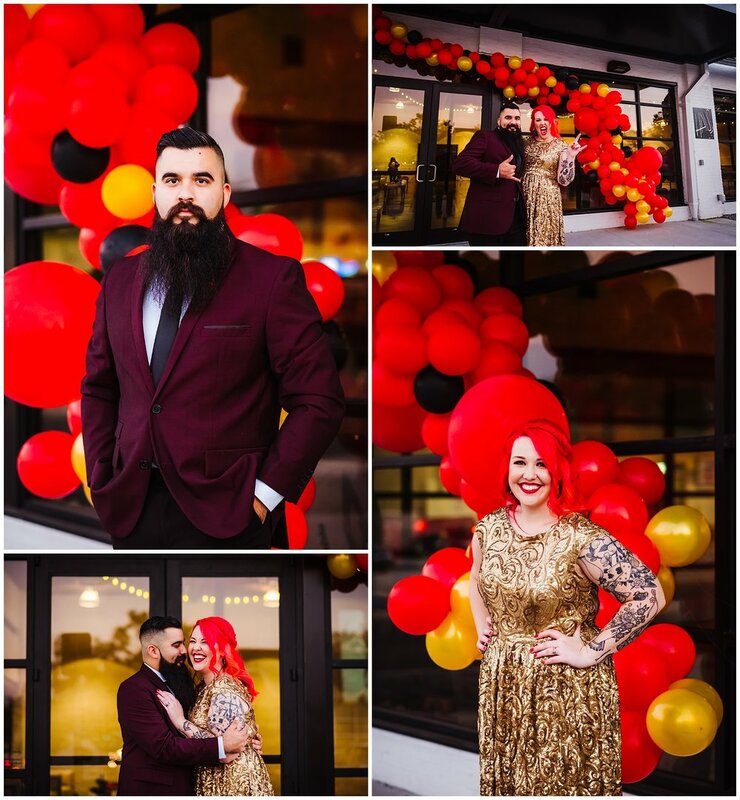 This dynamic duo celebrated 5 years of rocking their business, Rad Red Creative. In 2012, they took the leap into the great unknown, and it has paid off! 5 years later, Leo and Brittany are still living their passion and making quite the team. What an inspiration! Tampa has one of the best creative communities, and I am fortunate enough for Rad Red to be a part of mine. 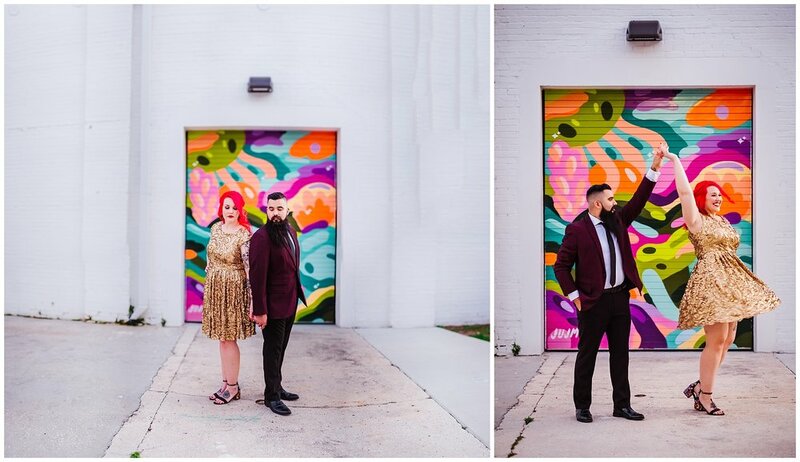 You can love their work too at www.radredcreative.com! I don't know what I love more, Brittany's gold dress or Leo's burgundy suit! The gold accents added the perfect amount of glimmer to the highlights of red. 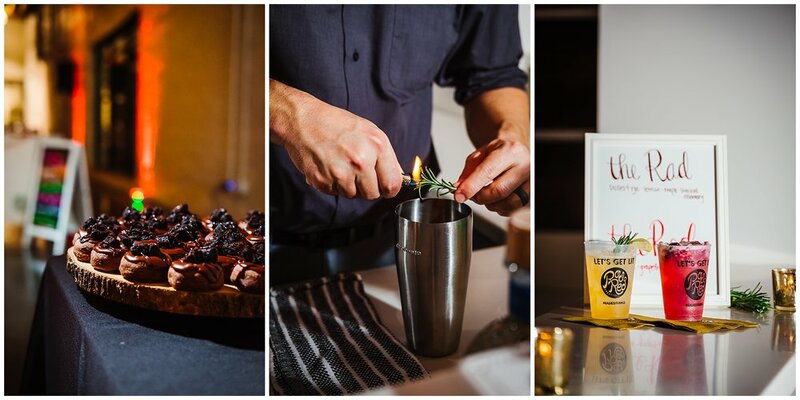 Just when you think things can't get any cooler, there is someone handcrafting a signature cocktail- yes, please! This party was one pop of color after another. Throw in Rad Red's killer personal style, and let's get this party started!